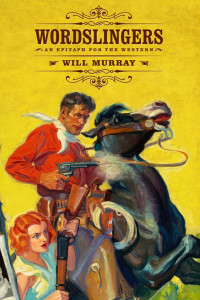 Randy Cox, Ed Hulse, Will Murray and Anthony Tollin discuss Walter B. Gibson and the Shadow. Garyn Roberts discusses Steampunk in the days of Dime Novels and Pulp Magazines. 2010 Munsey Award Winner Mike Chomko awards the 2011 Munsey Award to Anthony Tollin. Blood ‘N’ Thunder editor Ed Hulse moderates a panel comprised of granddaughters of pulp writers. Karen Davis Cunningham’s grandfather is Frederick C. Davis. Nicky Wheeler-Nicholson’s grandfather is Malcolm Wheeler-Nicholson. Laurie Powers’ grandfather is Paul Powers. Karen David Cunningham: I was unable to locate a personal blog or site.